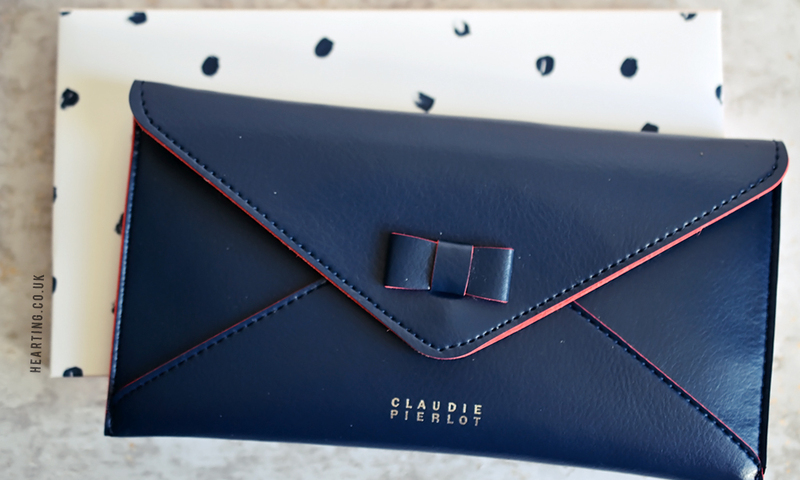 My Little Mademoiselle Box has landed and to tie in with London Fashion Week this month My Little Box have collaborated with clothing brand Claudie Pierlot and blogger Freddy Cousin-Brown. The box this month has a store front design which is really rather beautiful and makes a change from the standard box design. 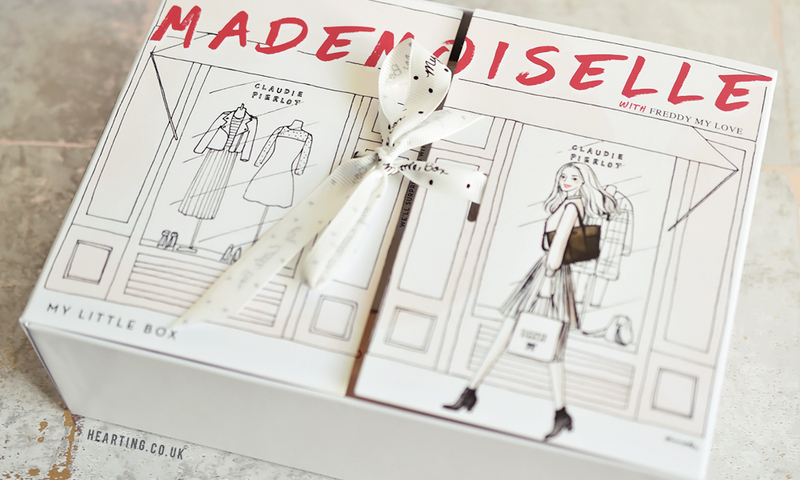 My Little Mademoiselle Box contains 2 beauty and 1 skincare item. 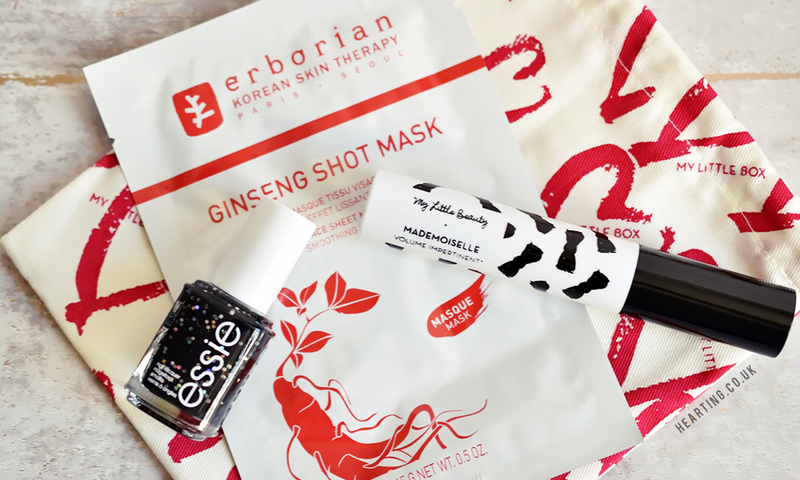 The first product I unboxed was the Erborian Korean Skin Therapy Ginseng Shot Mask. This sheet mask promises to smooth and moisturise skin for a radiant look. Sheet masks have been quite a thing this year but I can’t say I’ve really tried many in the past so I’m looking forward to testing this out. I was also sent Essie Belugaria. When My Little Box feature nail polish, it’s usually Essie, which I can’t complain about, but Belugaria is probably a shade I won’t use having looked at swatches online. Belugaria is a black textured nail polish with silver hex glitter particles. In one of my first ever My Little Boxes I received My Little Beauty’s Volume and Care Mascara which is probably my all time favourite My Little Beauty product. 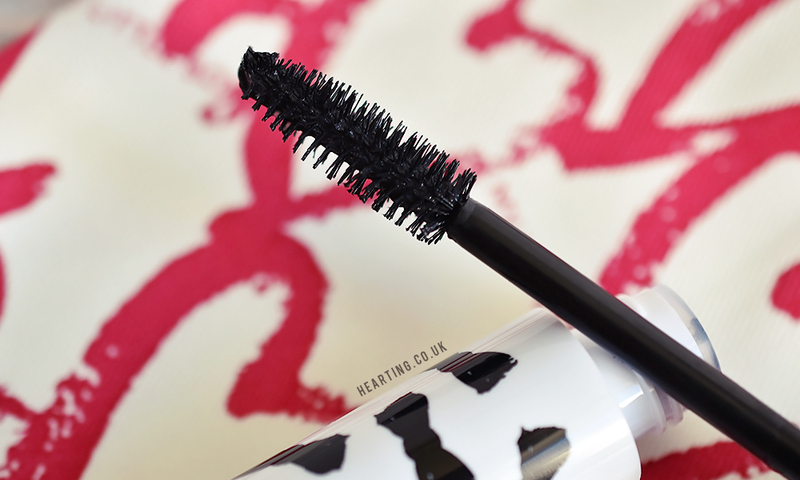 So you can probably imagine how excited I was to see the My Little Mademoiselle Volume Impertinent Mascara featured. I have my fingers and toes crossed that I like this as much as the original. 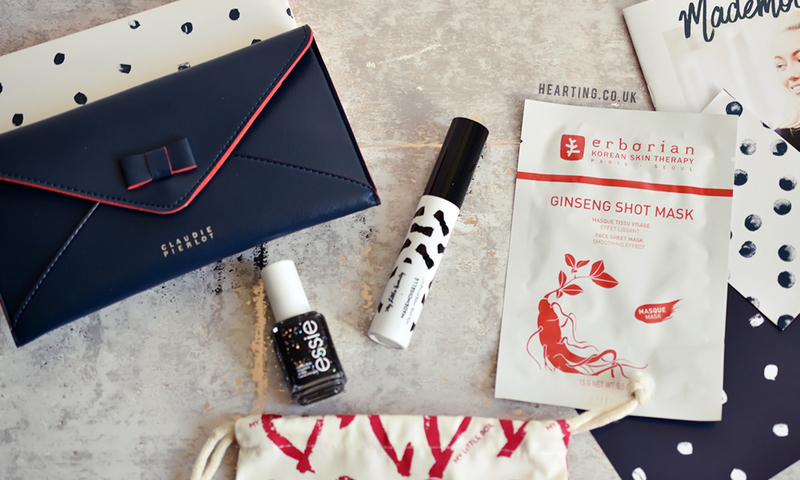 In terms of lifestyle, the September box features a navy blue wallet with red accents. I’m not sure this is worth the stated £30 as it doesn’t feel all that premium but it’s a nice addition nonetheless. Despite a more promising box this month I have decided that after 25 boxes I’m become a tad bored of My Little Box and really want to try something new. It’s a shame because I loved the My Little Box concept and some of the earlier editions were truly magical, but somewhere along the way it has lost its sparkle and I’m no longer excited to receive my box each month. Are you a fan of the September My Little Mademoiselle Box? 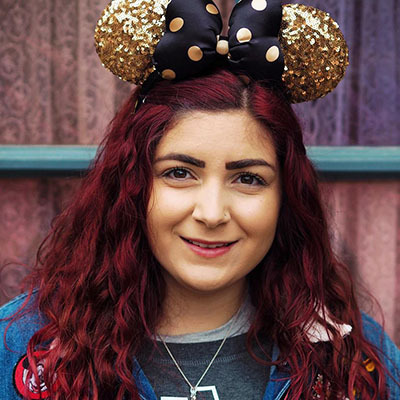 What beauty box would you recommend that I try next?